This is a 1 hour continuing education course designed for the Rhode Island state specific requirements for Mortgage Loan Originators. 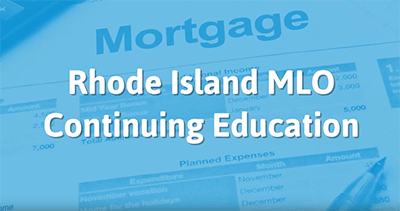 It will cover each necessary topic for the MLO in Rhode Island, for continuing licensure. These topics include the Rhode Island Home Loan Protection Act, community obligations, Rhode Island Fair Housing Practices Act, and a study of a real-life case of fraud.